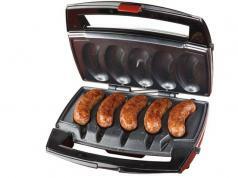 Here is another portable grill that lets you cook your meals anywhere. 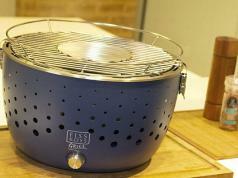 The Cook-Air Grill is a wood fired grill that reaches a temperature of 1100 degrees in less than 5 minutes. 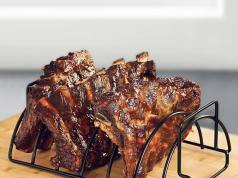 Its blower system brings oxygen to the combustion chamber, pushing the heat to the cooking surface. 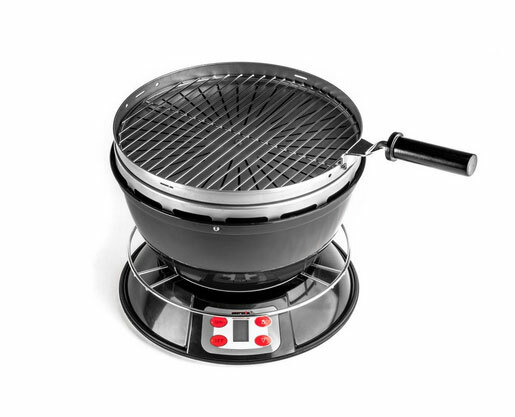 You get a 14″ cooking grid with this grill. The device weighs less than 20 lbs and is very portable. There is also a 5 speed level of fan that lets you control the temperature. Sets you back under $149 at this time.